Six years ago Melody was attacked and left for dead. She survived by burying her memories, confident that her attacker was convicted and imprisoned. The the body of another woman, Eve, is discovered. The women were strangers. But Eve knew all about Melody’s life, She has left behind her story, the clues that will force Melody to confront her own lies. The clues that will put her life in danger all over again. Want to start the New Year with a big book bang? Published on January 1st, The Life I Left Behind is the book to do it with. After her cracking debut novel Precious Thing, Colette McBeth returns with the legendary ‘difficult second novel’ and immediately proves that there is no such thing. Written from the perspective of three main characters, Eve, Melody and DI Rutter, The Life I Left Behind is a compelling read, pulling you into its web of intrigue as the individual narratives intertwine brilliantly in order to allow the mystery to unravel and the killer to be revealed. From the outset the murder of Eve Elliot appears to be an open and shut case. The man responsible for the attempted murder of Melody years before has just been released from prison, and the attacks are strikingly similar. DI Rutter isn’t so sure, not one for cutting corners she doesn’t believe that it is quite so straightforward. With her old boss, the man responsible for solving Melody’s attack keen for Rutter to follow his lead and close the case, she has her work cut out for her, making sure they have the right man. In the meantime, Melody, now reclusive and withdrawn from the world, is about to discover the true price of her attack, how much of her life she really lost on that fateful day, and just how little has changed in the years since. I absolutely loved The Life I Left behind, Eve and Melody are well drawn characters that have you keen to find out more about, to find out what happened and to see how everything turns out, so don’t be surprised if you find yourself still sitting reading two hours after you picked the book up to squeeze in a few quick chapters. With a plot you can easily lose yourself in, that has a devilish twist in the tale The Life I Left behind comes highly recommended. London at the dawn of 1918 and Ireland’s most famous literary figure, WB Yeats, is immersed in supernatural investigations at his Bloomsbury rooms. Haunted by the restless spirit of an Irish girl whose body is mysteriously washed ashore in a coffin, Yeats undertakes a perilous journey back to Ireland with his apprentice ghost-catcher Charles Adams to piece together the killer’s identity. Surrounded by spies, occultists and Irish rebels, the two are led on a gripping journey along Ireland’s wild Atlantic coast, through the ruins of its abandoned estates, and into its darkest, most haunted corners. Falling under the spell of dark forces, Yeats and his ghost-catcher come dangerously close to crossing the invisible line that divides the living from the dead. 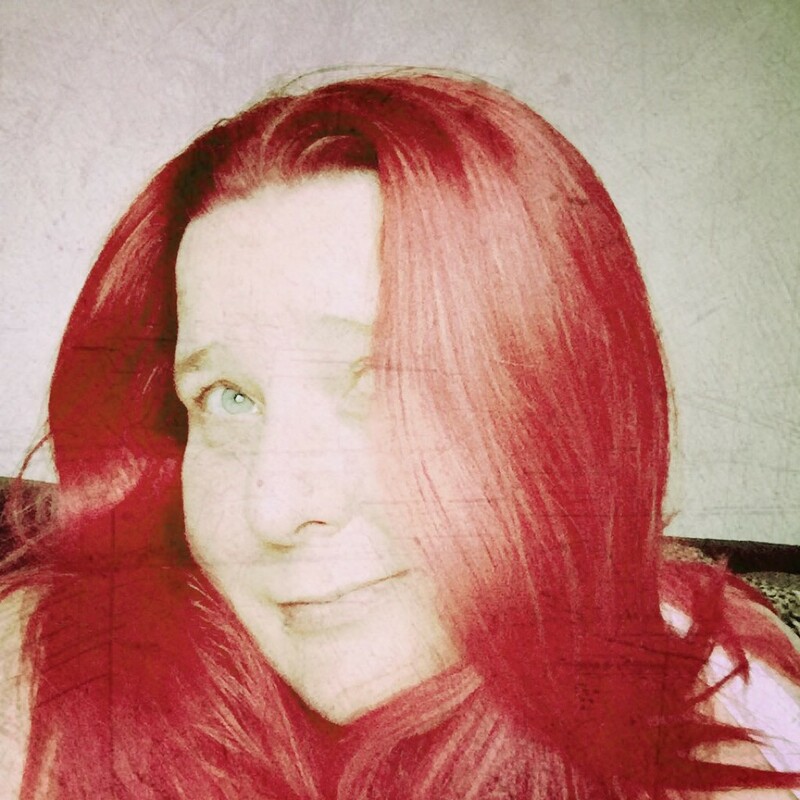 Poets, politics, the paranormal, this book has it all. After the success of his first novel Disappeared, Anthony Quinn returns to Ireland with new title The Blood Dimmed Tide, only this time it is to an Ireland heading towards the end of the First World War, when the country is striving for separation from Britain, the Anglo-Irish aristocrats are abandoning their great homes to flee to England, and Irish prisoners destined for execution are instead being returned to their home. As someone who doesn’t usually read historical crime, and given the alternative first/third person narrative of the story I felt it took me a little longer to become gripped by the story than I am used too, but once I was hooked I was hooked. With its myriad themes and characters there is something in here for everyone. I also enjoyed the setting and felt that the Ireland envisioned in the tale is almost a character in itself. Quinn is adept at creating haunting and atmospheric visions of Ireland at this time, which I felt really enhanced the supernatural feel and mysteriousness of the tale. The Blood Dimmed Tide has been billed as the first in a series of three historical novels set around WW1 and The War of Independence, and it has certainly sparked an interest in me around this period in history, so I’ll be looking out for more from Mr Quinn. Grandmother Ruth Sutton writes to the man she hates more than anyone else on the planet: the man who she believes killed her daughter Lizzie in a brutal attack four years earlier. Ruth’s burden of grief and hatred, has only grown heavier with the passing of time, her avid desire for vengeance ever stronger. In writing to him Ruth hopes to exorcise the corrosive emotions that are destroying her life, to find the truth and with it release and a way forward. Whether she can ever truly forgive him is another matter – but the letters are her last, best hope. Letters To My Daughter’s Killer exposes the aftermath of violent crime for an ordinary family and explores fundamental questions of crime and punishment. How do we deal with the very human desire for revenge? If we get justice does reconciliation follow? Can we really forgive those who do us the gravest wrong? Could you? I’m a big fan of books written in letter / diary format as I find they are usually far more emotionally charged and are an enjoyable and easier way in which to connect with a character. 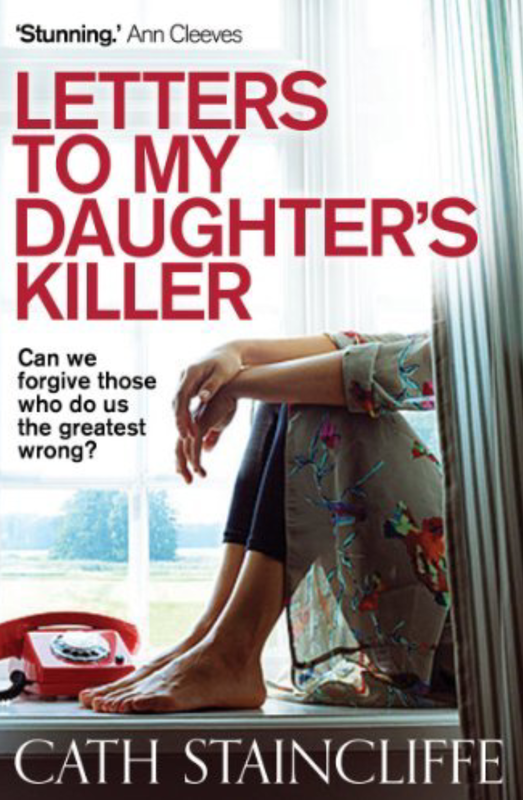 Letters To My Daughters Killer ticks all those boxes for me, in fact I actually sat and read it in just one sitting because there was absolutely no way I was putting this book down once I had started. The rawness of the emotions involved leaps from the page, and you can’t help but feel every shred of anger, rage, hurt and disappointment that Ruth is feeling. Beginning four years after the murder of her daughter Lizzie, it follows the events immediately after her death, the police investigation and the arrest and trial of her murderer. The trial scenes are some of the best I’ve read, coming across as true to life of real court cases, and as the killer’s legal team spin their case you will feel as uncertain as Ruth as to whether or not the culprit will pay for his crime. If you are looking for something different from your usual police procedural, psychological thriller, or race against time novel, you will not go wrong in choosing Letters To My Daughters Killer. Mac wakes in an smashed-up hotel room with no recollection of what has happened. With his lover’s corpse in the bathroom and the evidence suggesting that he killed her, Mac is on a mission to uncover the truth and find the real killer. In a big change in direction from her usual London gangland novels Vendetta is a race against time thriller and it’s a gripping one at that. The hook is there immediately as Vendetta has one of the best openings I have read in some time, and you really get a feel for the pain, grogginess and sense of confusion that Mac is going through as he struggles to come to and work out where he is. From there on in the action and the questions come thick and fast, as Mac has less than a day to discover the truth behind who killed his girlfriend and why. As both sides of his double life are revealed, more and more conspirators are added to the mix, the plot thickens, the tension increases and your ability to put the book down will disappear. Vendetta is out today. Click on the image above to get your copy. Race To Death is the second outing as a main lead for DI Ian Peterson, a character that appeared originally in the first three Geraldine Steel books by the same author. In Race To Death he has recently accepted a promotion from DS to DI which involves moving hundreds of miles from his current home to the city of York. This move is just one of the things I enjoyed about Race To Death, as a new location and new colleagues means the chance to get to know a whole host of new characters making this a new start for the reader as well as the protagonist. With a wife already unhappy with the demands of ‘the job’ on his time and as yet unsettled in their new home, under pressure from a boss he is struggling to find common ground with and a murder case leading to nothing but dead ends, DI Peterson has his work cut out. Out to impress he is determined to do what it takes to find the killer. Russell has written these new relationships well so it is easy to identify with the characters as they settle into their new routines. The plot has more than enough false leads to keep you guessing to the very end. It throws you straight into the action, and the tempo continues at a steady beat throughout ensuring you won’t want to put it down until you know whodunit. All in all it’s a riveting read and I’m really looking forward to finding out what’s next for DI Peterson. For your chance to win a copy of Race To Death, tweet this post and follow @LOCrime, or leave a comment below. Nigel never meant for it to happen. At first, he just wanted to be Matt’s friend. But when he discovers he can hear what is going on in the flat below him, his fascination with his new neighbour drifts into obsession. Rearranging his furniture to recreate the layout of the rooms downstairs. Buying the same clothes, going through his post, his things. Becoming Matt without him ever knowing. And it would have been all right, if Matt hadn’t brought the girl home. When things spiral out of control, Detective Inspector Harland has to unravel the disturbing truth. But there’s far more to the case than meets the eye . . .
Creepy, disturbing and all too frighteningly plausible. It’s been a while since I found myself completely unsettled by a novel but Cut Out certainly did that to me. This was probably not helped by the fact I stayed up until the wee small hours of the morning so I could finish the book in one sitting. Cut Out leaves you in no doubt about the dark themes contained within from the very beginning, by opening with the highly gruesome and sadistic murder of a small time drug dealer, before moving on to the main story of Nigel, an isolated man, with little in the way of social skills who prefers to work from home than amongst his colleagues at the agency he photoshops pictures for. When a new neighbour moves in downstairs, Nigel’s life is changed completely. Matt is everything Nigel wants to be, good looking, confident, a hit with the girls and after a friendly night in front of the TV as neighbours, Matt soon moves from Nigel’s role model, to the object of his obsession. As his justification for his deeds becomes more irrational, and his actions more and more intrusive, it is soon clear not just how shocking his behaviour has become, but also how plausible it is for someone with access and a little technical knowledge to do the same to you. Cut Out is the third of the DI Graham Harland books from Fergus McNeill and the first I’ve read. It works well as a stand alone not revealing much from the previous novels giving those like me a chance to not only enjoy this great read without feeling I was missing something and also giving me the chance to go back and explore an intriguing character. There are certainly questions I have from this book which have been answered already, making me keen to now seek them out.